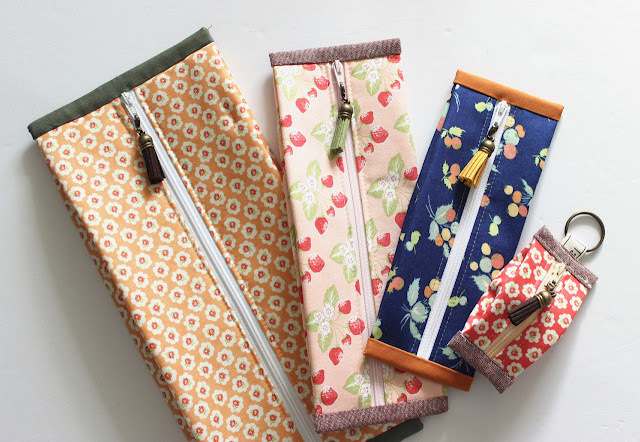 Welcome to the Stitched Sewing Organizers Sew-A-Long! 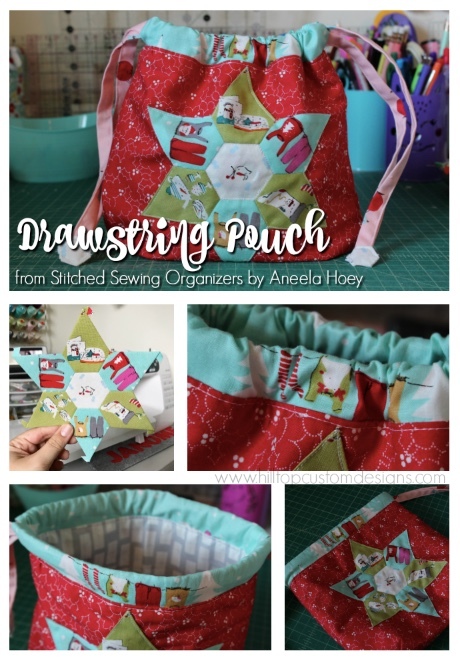 I'm Amista, and I'm happy to be participating in this awesome sew a long with everyone celebrating Aneela Hoey's latest book: Stitched Sewing Organizers. I hope you'll join us - there are tons of awesome prizes!! You don't want to miss out! 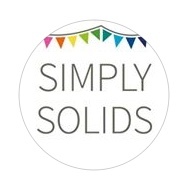 You can find more about the sew a long and our host by visiting her blog, Tuppence Ha'penny Quilts. 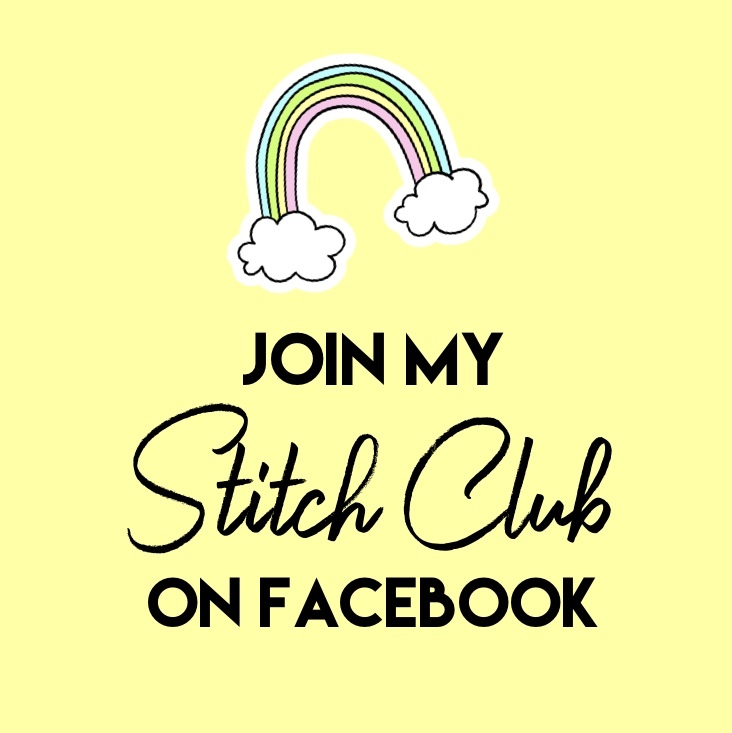 I'm a 30 year old quilter and sewing enthusiast from Ohio, U.S. I'm married with three children (ages 9, 5, and 2) and we have one dog and two guinea pigs! I am a self-taught sewist and my first machine was an old Kenmore. My husband bought it for $50 off of his sister, who had owned it for Home-Ec in High School, lol. The machine had no frills and no bells or whistles but it did the job. Okay, enough about me! On to the sew along... Before I talk about the pattern, I'd first like to give a huge Thank You to Aneela Hoey for sending me these adorable Cherry Christmas fabrics to use. I am grateful and I loved creating with these fabrics! My particular project for this sew a long is the uber cute Drawstring Pouch found on page 69 of the book. If you're creating along with us, you'll also need the pattern template from the back of the book, a couple fat quarters of fabric, and basic sewing supplies. I chose to make an EPP panel using fussy cuts from the Cherry Christmas fabric line. I placed it on the center of a exterior pouch piece and stitched it down with my machine. I think it adds a super cute Christmasy feel to this pouch, don't you?? One of my favorite things about this pattern is the ease in which it is all constructed. Sometimes drawstring bags can be a bit tricky for beginners but the instructions Aneela has written in her book are great at explaining things clearly. I don't think you'll have any trouble at all whipping up one of these cute bags! I really love the drawstring channel at the top of the bag. I unintentionally fussy cut this as well, and I was pleasantly surprised to find a cute little line of hanging clothes at the top of my bag, lol. Total coincidence. The only issue I had was those tiny little hexagon drawstring tabs! Maybe its just me but working with such tiny fussy little things was a bit of a challenge. Either way, I got it done and they were worth it! They finished off the bag and make it super cute. I hope you make one of your own! If you'd like to win this week, just make a Drawstring Pouch from the book and share with us on Instagram. Checkout the awesome things below you could win!! 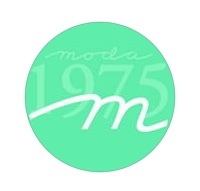 If the selected winner is a U.S. participant you will win.. If the selected winner is a International participant you will win.. Thanks so much for visiting and I hope you love the Drawstring Pouch I made! I can't wait to see your makes for the Sew A Long!